Boring style does not compute. 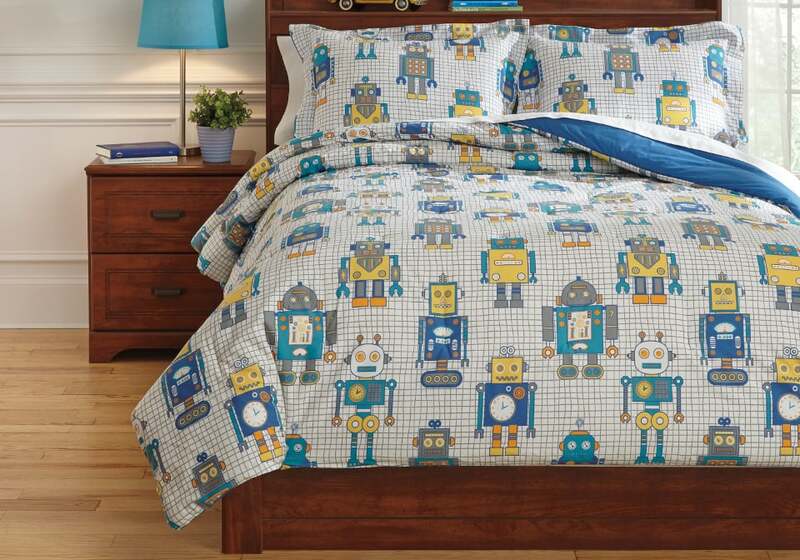 Colorful and animated with a fleet of friendly robots, the Machado comforter set is alive with imagination. 2-3 Piece Comforter Set – Includes Comforter and 2 Shams (1 in Twin). 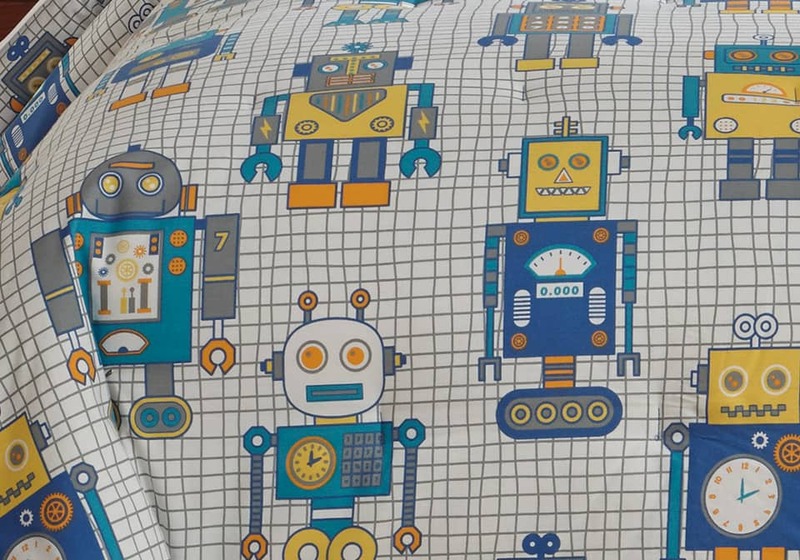 Bar Tac Quilting Design with Robots in Multi. 200 TC. Cotton with Polyester Filling. Machine Washable.